It cracks me up to see the items that make their way into Ollie's bed at night! 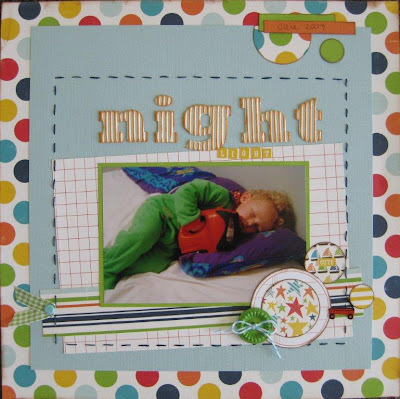 This layout was made using Echo Park's Little Boy range, for Scrap Box NZ. 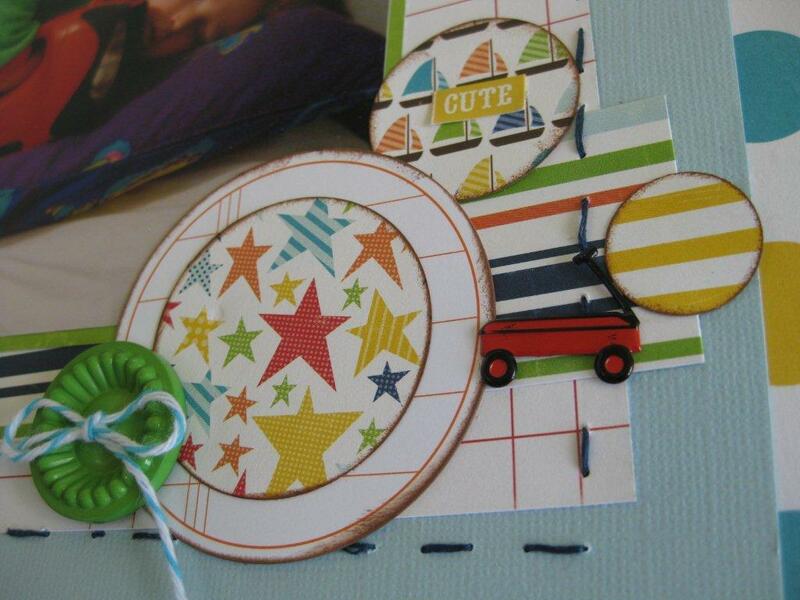 Further details and products can be found over there. That's a rather big night light! What a cutie! They always look like angels when they are asleep ;-) Love the page and papers used!